Cosmic Bear Totem is strength and motherly love. Hold this totem in your mind's eye when you need to call upon your strength. 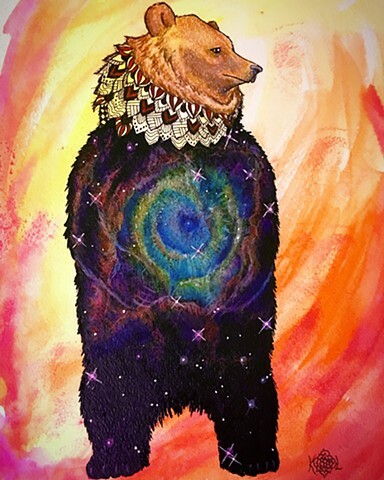 You are as fierce a defender as a mother bear to her cubs and you can harness that intensity within yourself when you let the Cosmic Bear totem enter into you. If you are interested in purchasing an archival print for $50, please message me!